The community sector continually grapples with how to build its capacity, individually and collectively, in order to make the sector stronger and more resilient, whilst creating impact and efficiencies in how we deliver human services within our communitites. It often seems so difficult and competitive and even sometimes, intractable. However, there is a clear and compelling solution through streamlining, reducing red-tape, resource-sharing (buildings, people, technologies, finances, clients) that can make us more effective and efficient, whilst saving costs! Having been part of a number of co-located, collaborative and partnership projects over the years, the concept and approach of pooling infrastructure, operational, financial and human resources together, to create amplified impact, in order to achieve positive outcomes for the populations we serve, has been a sound philosophical platform for decades in the community sector. Having managed two very different co-located human service centres in the UK and Australia, where a number of like-minded not-for-profits co-locate under one roof to combine resources as a ‘one-stop-shop’ for disadvantaged communities, appears to make absolute sense, on so many levels! However, these NFP centres have not taken off within communities in Australia and I set about understanding the barriers, as well as seeking out a better understanding of the critical success factors inherent in co-located models, that have performed well in their development and ongoing adaptability, within their local communities. The Origin Foundation, interested in improving the capacity of the not-for-profit sector, funded an Australian-American Fulbright Scholarship, which enabled me to be based at the Nonprofit Centers Network (NCN) in Colorado, to explore ten of those centres in North America and Canada. Whilst this exploratory research revealed a burgeoning ecosystem of complex arrangements of social purpose real estate, elaborate funding and financing tapestries and interpersonal and professional multidisciplinary stakeholder relationships, driven by an array of missions and visions, the study highlighted clear and apparent themes that underpin such centres. The shared experiences that arose out of the discursive interviews with ten leaders of the NFP Centres provided a conceptual framework from which to create a set of organizing principles, that seemed to offer an explanatory model that has utility and application, regardless of purpose, client population, demography and geography. 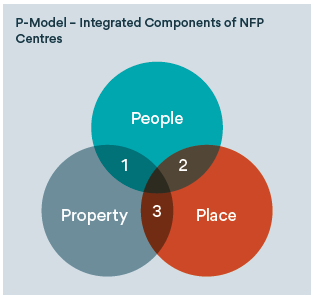 As a result, the P-Model emerged and comprises three primary intersecting and integrated components of people, property and place, that coalesce to strengthen the purpose underpinning NFP Centre’s. (Details of the P-Model can be found in the body of the main report, More than the sum of its parts: an exploration of co-located NFP centres). The P-Model represents the marriage between people (human and social capital), property (social infrastructure and capital resources) and place (community and location). These elements combine to galvanize the purpose of the overall mission and vision within the co-located model and the purpose in turn, creates cohesion and animates the NFP organizations to produce amplified benefits for their end service users. In order for the P-Model to operate effectively, there must be both integration and interaction between each of the components. The challenge for leaders of NFP Centre’s therefore, is to invest adequate resources in terms of time and money to do this effectively. Not-for-profit co-located centres make so much sense for the community sector. 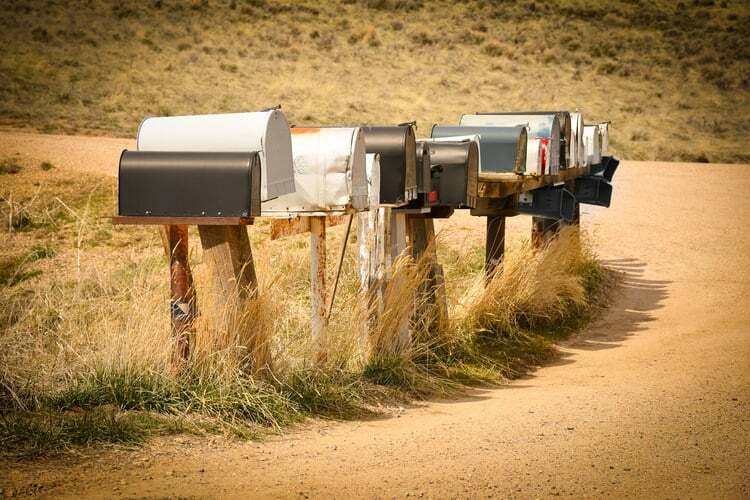 This model is a ‘call to action’ for not-for-profit organisations to step forward and lead this collaborative impact model for communities and promises a ‘build it and they will come’ solution! 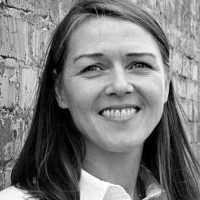 Dr Karen Hart is CEO of The Youth Junction Incorporated and manages the largest co-located youth service centre in Australia. She has 30 years experience working in government and non-profits in Australia and the UK and is the 2014 Origin Foundation Fulbright Professional scholar in Non-Profit Leadership.